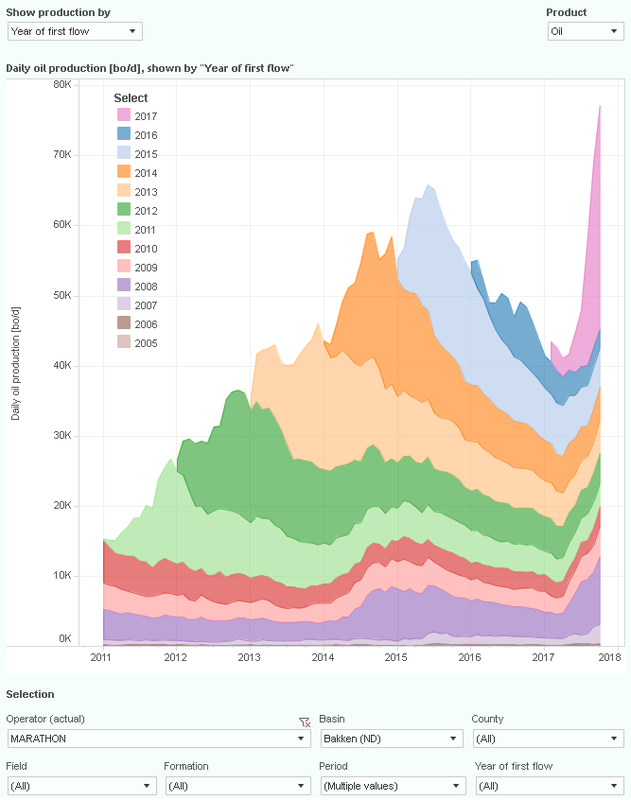 This interactive presentation contains the latest oil & gas production data from all 12,939 horizontal wells in North Dakota that started production since 2005, through October 2017. Oil production in North Dakota rose by 7% in October, to 1.185 million bo/d. With this large increase, total production was less than 4% below the high in Dec 2014. Gas production also increased, with 6%, and came in above 2 Bcf/d, setting a new record. In October 107 wells started production (vs 89 in September), the largest number in the past 2 years. The 2 leading producers, Continental Resources & Whiting, both showed strong production increases in October, as the last tab (“Top operators”) shows. This “Ultimate recovery” overview shows how all these horizontal wells are heading towards their ultimate oil or gas recovery, with wells grouped by the quarter in which production started. As the blue curve at the top shows, wells that started in the 3rd quarter this year outperformed any earlier wells on average, despite that their number (275) was also larger than the other quarters in the past 2 years. Once Ohio releases Q3 production, which I expect will be next week, I will publish another post on the Appalachian basin. 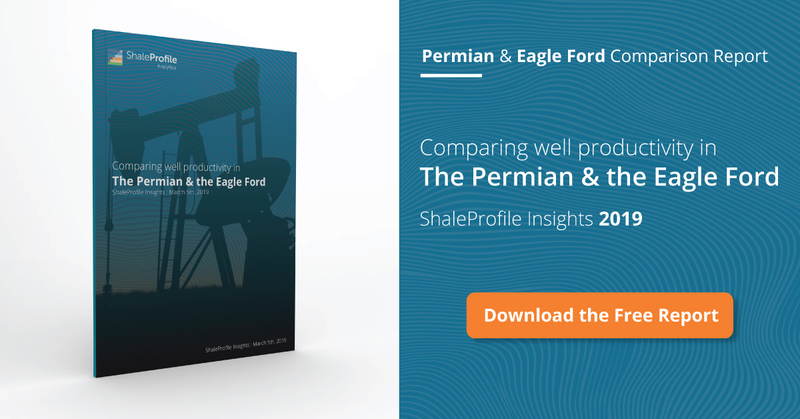 Since July, we can see a growth in older wells, which is quite unusual from the “normal” profile. Is it related to a refrack campaign similar to what has been seen in Haynesville, or also the opening of the Dakota Access Pipeline, or maybe both? I’ve not looked closely at the completion data. I will do this if we see this trend for a few more months. My impression is that, similar as last year, operators are going full speed before the winter months. Last year October also saw a major surge, and in the months before December older wells also barely declined. It may also be related to indeed other factors, like the DAPL, but I have no info on that. Looking at the October ND govt Bakken report, it only shows a net increase of 75 wells and a production increase of 76 kb/d, which implies an average of 1 kb/well which seems high. Can you tell from your analysis how many new wells were added for Oct and how many old ones were shut down. If you look at the “Well status” overview, you can see for each month the status of all wells. Wells that are shown as ‘inactive’ did not have any production reported for the month, so were most likely shut in. I’ve looked a bit closer at the data here. See below the remarkable growth in production from Marathon. 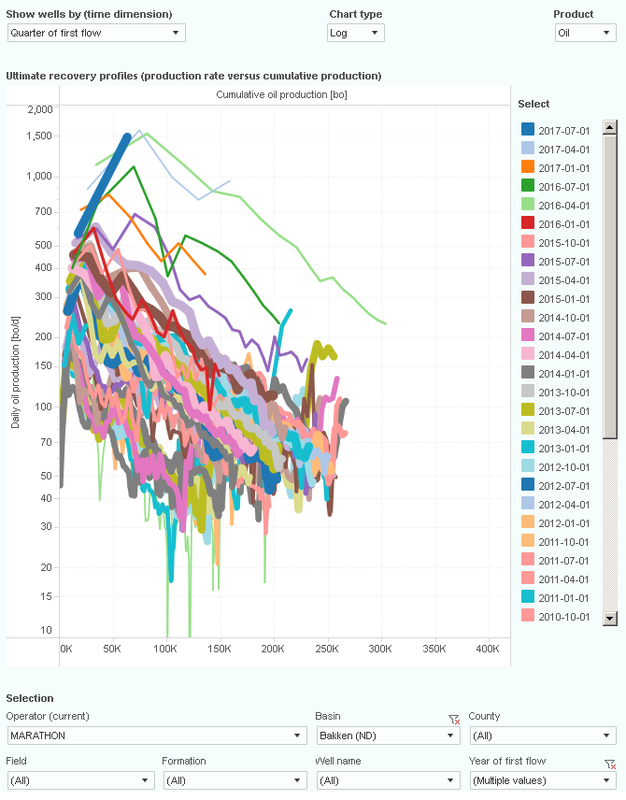 It brought about 30 new wells online this year, but also refracked more than 20 older wells during the summer this year, which explains the major rise in production from older wells for this operator.